BAE Systems Land & Armaments LP, Sterling Heights, Michigan, was awarded a $375,932,453 hybrid (firm-fixed-price and fixed-price-incentive) contract for Mobile Protected Firepower middle tier acquisition and rapid prototyping effort with low-rate initial production options. Work will be performed in Sterling Heights, Michigan, with an estimated completion date of Oct. 15, 2025. Fiscal 2019 research, development, test and evaluation funds in the amount of $175,974,048 were obligated at the time of the award. U.S. Army Contracting Command, Warren, Michigan, is the contracting activity (W56HZV-19-C-0035). -- General Dynamics Land Systems Inc., Sterling Heights, Michigan, was awarded a $335,043,086 hybrid (firm-fixed-price and fixed-price-incentive) contract for Mobile Protected Firepower middle tier acquisition and rapid prototyping effort with low-rate initial production options. Fiscal 2018 and 2019 research, development, test and evaluation funds in the amount of $175,011,179 were obligated at the time of the award. U.S. Army Contracting Command, Warren, Michigan, is the contracting activity (W56HZV-19-C-0036). The long-awaited prototype contracts for the Army’s Mobile Protected Firepower program were awarded to BAE Systems and General Dynamics Land Systems, service officials announced Dec. 17. The Army has deemed the light armored vehicle as a way to provide infantry brigade combat teams with a protected, long-range fire capability. As outlined in the service’s 2015 combat vehicle modernization strategy, the vehicle is intended to help IBCTs defeat local fortifications and point defenses. “The requirements associated with this will enable U.S. forces to disrupt, breach and break through those security zones and defensive belts to allow our infantry, men and women to close with and destroy the enemy on the objective,” Brig. Gen. Ross Coffman, director of the next-generation combat vehicle cross functional team, told reporters. BAE Systems’ solution combines new technology with proven capability to provide the Infantry Brigade Combat Team (IBCT) with a highly agile, armor-protected platform that delivers overwhelming and precise firepower for use across the spectrum of terrains and operations. Under the contract, one of two awarded ahead of the Government’s down-select to a final contractor, BAE Systems will produce 12 prototype vehicles during the EMD phase. The BAE Systems MPF is the result of more than 30 years of research and development for an optimized, rapidly deployable, light combat vehicle designed specifically to support light infantry. 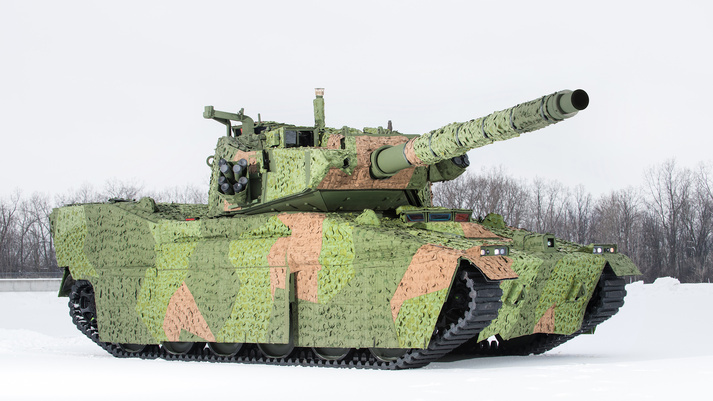 The vehicle leverages investments the Army made in the M8 Armored Gun System, including its low-profile design, and proven technologies like the M35 105mm cannon, and an auto-loading ammunition system that allows the gun to fire at a rate of 12 rounds per minute. The innovative roll-out powerpack design allows for easy access to the engine and transmission without the aid of heavy equipment. It also integrates scalable armor and innovative survivability subsystems to protect the vehicle and crew from threats on the future battlefield. The vehicle employs situational awareness systems adding to the highest levels of survivability and crew protection. The compact design allows for multiple vehicle deployment on a C-17 and exceeds the Army’s transport requirement and it is sustainable within the IBCT. Work on the EMD vehicles will take place at BAE Systems’ facilities in Aiken, South Carolina; San Jose, California; Sterling Heights, Michigan; and York, Pennsylvania.